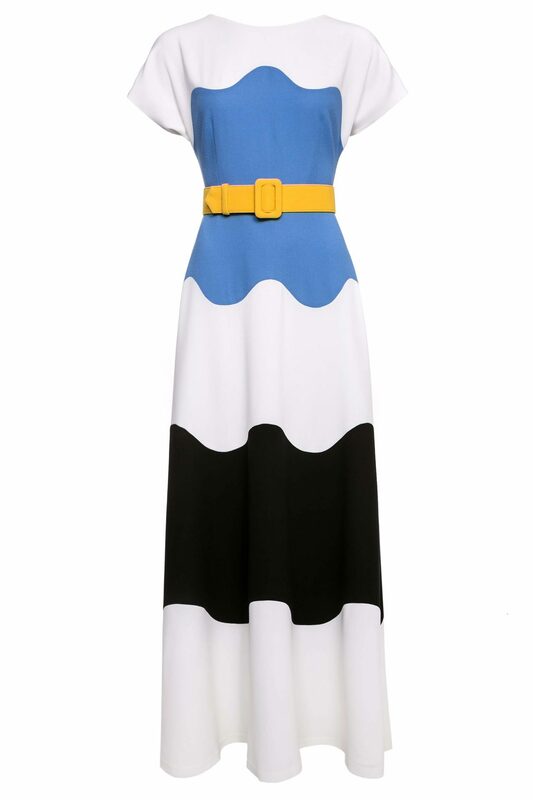 This gown is cut from soft wool crepe in a fresh ivory white, sky-blue and black palette. The yellow belt draws attention to the smallest part of the waist. The elongated sleeves offer the right amount of coverage while the deep V-neckline on the back gives a sensual touch to the otherwise modest silhouette. 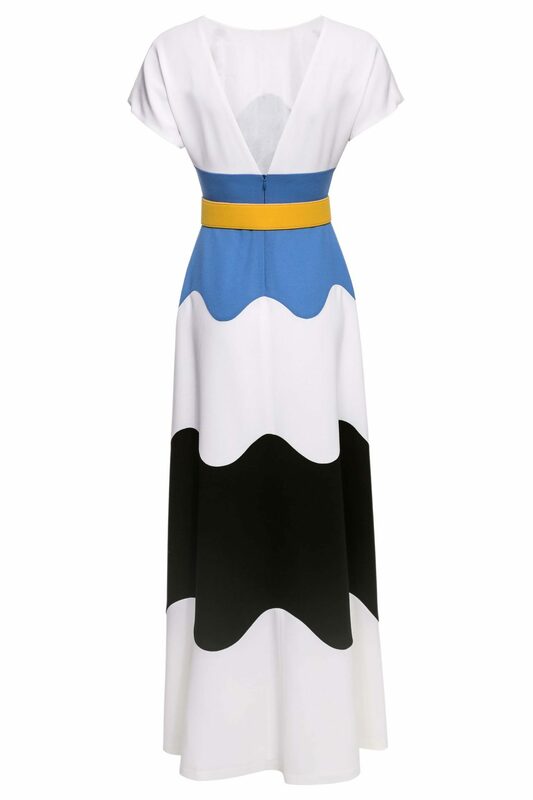 Styling tip: Keep styling minimal to let the colorful design of the dress stand out.